What you need is more transformation. For those who don’t need another online course, but are ready to see major results - now. Are you done feeling invisible? Spending hours on Instagram without seeing any of the results you desire and deserve?! For some reason you’ve hit a plateau and no matter what you’re doing, you just can’t seem to grow your following, let alone figure out a strategy on how to turn those followers into money in your bank account. Reach a wider audience, and grow your following by connecting with the RIGHT people - with ease, and without spending hours each day on the app. Get in front of your dream clients, building a community of raving fans who know, like, and trust you, and turning your ideal followers into paying customers. Become an Instagram influencer, work with brands you love, and using your influence as a way to grow your income through sponsored posts. 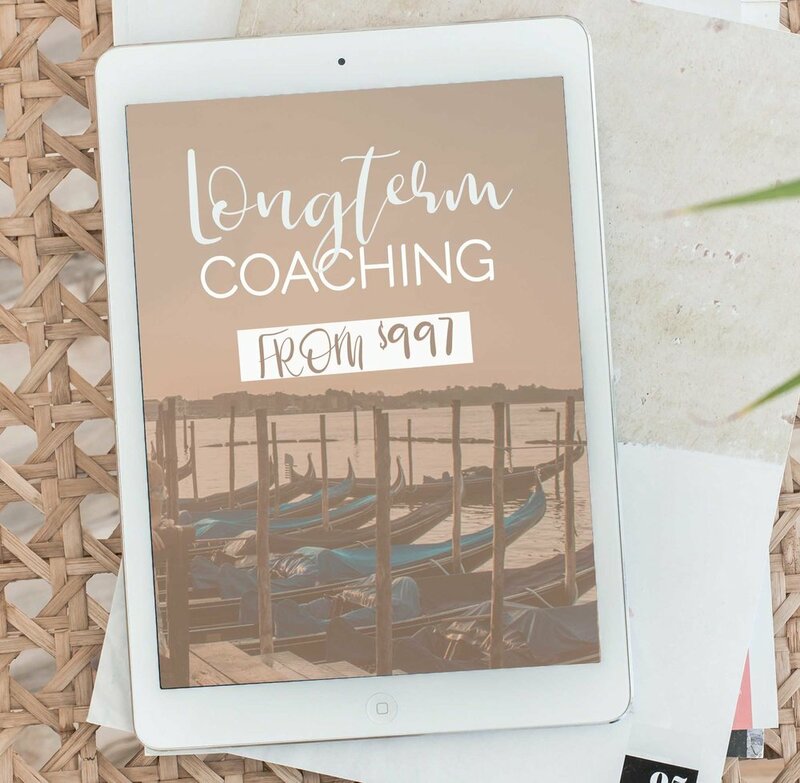 Contact me: hello@carlabiesinger.com to set up your 1:1 intensive and leave with an action plan and clear next steps tailored to help you reach YOUR Instagram goals. For those who are ready for big changes in their life and business and crave support & accountability. You’ve been trying to do the whole DIY thing and build your business by piecing together the bits of free information you find online. You’ve spent the last months, if not years, watching free webinars, taking free courses, testing out yet another strategy - just to realize that it’s the end of the month, and you haven’t reached your goals - again! Find your gap in the online market, figure out what sets you apart from your competition, and how YOU can stand out in the crowded online world. Dramatically grow your audience and email list by connecting with your ideal clients, and organically grow a community of raving fans who will buy your products and services. Feel confident about the value you provide and create irresistible offers that will finally allow you to live the life you're dreaming and experience the freedom and the flexibility to work wherever you want, whenever you want. Develop a solid strategy on how to monetize your following, and finally create an income you can count on, month after month by focusing on money making tasks - No more chasing shiny objects. Experience expert support and accountability from someone who’s been there, done that, who TRULY cares about your success, and who can help you reach your goals so much faster than you ever could on your own. Ready to stop wasting time and start creating the business and the life you deserve? "When I decided to take my fitness business online I knew I needed to find a mentor to help guide me in the right direction. I didn’t have the time to waste in figuring it out, I just needed the steps to take my vision and make it a reality. From the first time I spoke with Carla I knew she was the right fit for myself and Triumph Fitness. In a little less than a month, Carla helped me launch an online “Tighten Up Challenge” which helped me connect with 84 new people (during my second launch over 200 people signed up!). Are you ready to just hand off your daily Instagraming so that you can focus more on your business and money making activities? Let me and my team handle all the work for you. Packages are always tailored specifically to your needs and goals.